Hey, do you guys remember Richard Davis? Yeah, me neither. We haven’t heard much from him lately. But presumably he hasn’t fallen off the face of the earth, as he is still listed as immediate past chair of the Minnesota Orchestral Association board of directors, and is therefore a co-architect of the lockout. While I was Googling aimlessly this morning, I came across this shocking interview with Richard Davis from June 2012. It’s explosive. Second Quarter Richard Davis (in other words, “2Q Richard Davis”) has some extremely pointed criticism for Fourth Quarter Richard Davis (or “4Q Richard Davis”). Let’s listen in on their heated debate about how they should be running the Minnesota Orchestra Corporation. Congratulations to Richard Davis for his induction into the Minnesota Business Hall of Fame — today! US Bank: Minneapolis-based U.S. Bancorp (NYSE: USB), with $330 billion in assets, is the parent company of U.S. Bank National Association, the 5th largest commercial bank in the United States. The company operates 3,089 banking offices, 5,092 ATMs in 25 states, and provides a comprehensive line of banking, brokerage, insurance, investment, mortgage, trust and payment services products to consumers, businesses and institutions. About Richard: “I could have been a pastor as easily as a banker. And yet! Despite these incredibly dire assessments by outside experts, 4Q Richard Davis never alters his position, and shows a consistent refusal to learn from them. The insinuation may be unspoken, but it’s obvious: 2Q Richard Davis thinks that 4Q Richard Davis should start listening to experts who know how orchestras work, and modify his positions accordingly. Richard is Chairman, President and Chief Executive Officer of U.S. Bancorp. He has served as Chairman since December 2007, as President since October 2004 and as Chief Executive Officer since December 2006. “When I stepped into my role, we had disaffected employees. We are in a service business which means we need really, really engaged employees who serve and create happy customers, who in turn lead to results for the bank. A year later, that analyst told Richard he was right – focusing on employees was paying off. Aww, snap! Did you hear that, Richard Davis? Did you hear that? Richard Davis is mocking you! He’s clearly insinuating you’re being fiscally and morally irresponsible by not fostering a work environment within the Minnesota Orchestra that results in “really, really engaged employees who serve and create happy customers,” which will then “lead to results” for the Minnesota Orchestra! Are you listening, 4Q Richard Davis? Are you just going to let that shocking accusation stand? Richard turns to CPR when he talks about the evolving needs of the constituents: Consistent, Predictable and Repeatable. For investors, predictability is the most important aspect, while customers appreciate all three, making sure there are no surprises in their experiences. CPR gives employees confidence, and they enjoy representing the organization. OH! OH! And the brutal hits to 4Q Richard Davis just keep on coming! 2Q Richard Davis thinks it would be a good idea to have a Consistent orchestra – a Predictable orchestra – a Repeatable orchestra…but 4Q Richard Davis doesn’t want any of those things. 4Q Richard Davis actually said of musicians in September 2012 – “There’s a risk that they find their way to another place, and those who can leave will. It’s going to be a personal decision where they want to perform.” (Well, actually technically I guess that was 3Q Richard Davis, but apparently 3Q and 4Q Richard Davis share many of the same beliefs, so…) Rarely do we hear such wealthy powerful people criticizing each other so publicly. I wonder what will happen the next time Richard Davis meets Richard Davis at a cocktail party. Yikes. What are the key attributes of your company’s performance chain that come to mind? Can you relate to how speed, flexibility, predictability and leverage play a role in the way your company operates? Let’s start with predictability. “Predictability goes with ‘CPR.’ No surprises – consistently good service. Communications across all levels of employees is critical. We have a quarterly leader meeting with 1,000 leaders. We talk about the business and the environment. We talk up to them and empower them to do the same with their employees. Rather than controlling the flow of communication, they asked that we expand the information sharing, so we’re now having a similar conversation with the next 6,000. The idea is to build understanding and empowerment, leader to leader. If we want consistent performance, we have to rely on each employee to act within their role with as much information as possible. You know, I can’t help but think that things would be different at the Minnesota Orchestra right now if 2Q Richard Davis was in charge. Perhaps the lockout would even be over by now. 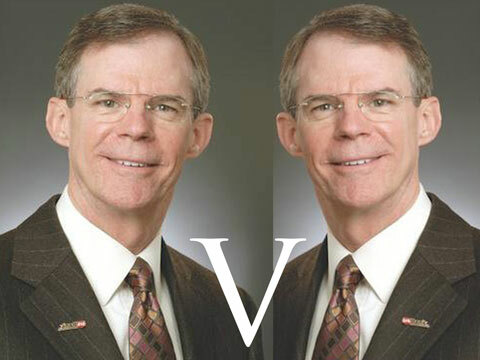 I wonder: is it too late to get 2Q Richard Davis on the Minnesota Orchestra board? Those are some awfully unhappy customers! You know, I hate to take sides in this smackdown argument, but it does appear that 2Q Richard Davis has a point here. I look forward to documenting any further debate between Richard Davis and Richard Davis. Emily, you are a genius. Keep up the good work! This will pay off soon hopefully! What a fabulous idea for a one man show!!! This is awesome. They are making themselves look so bad – themselves. And yet they seem to think that neither the musicians nor the audience matters. Um, what – who – else is there more important? May the performance chain wrap around and start pulling, hard.